Bangor Based Smylie Sectional Buildings have a long history of building garden sheds, fencing and dog kennels in all shapes and sizes. 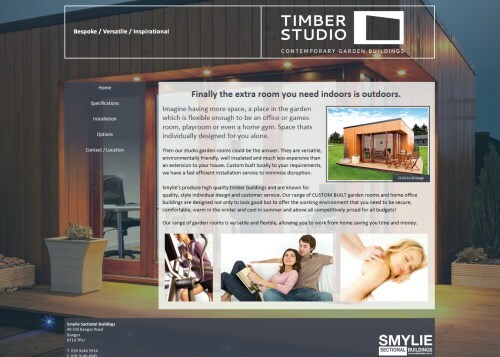 This new range of custom build timber studios are designed not only to look good but to offer the working environment that you need to be secure, comfortable, warm in the winter and cool in summer and above all competitively priced for all budgets! We love the look of this new site that we’ve designed for these contemporary garden buildings, and using the latest technology we are able to promote the buildings to the full potential.